I couldn't resist them. The first few leaves I saw were too inviting to turn the other way and make my way to the other vegetables. I knew I should wait for another month at least to get the good ones before I buy the cavolo nero (Tuscan cabbage/black cabbage/kale) that are out now but I really couldn't resist them. Would you be able to? 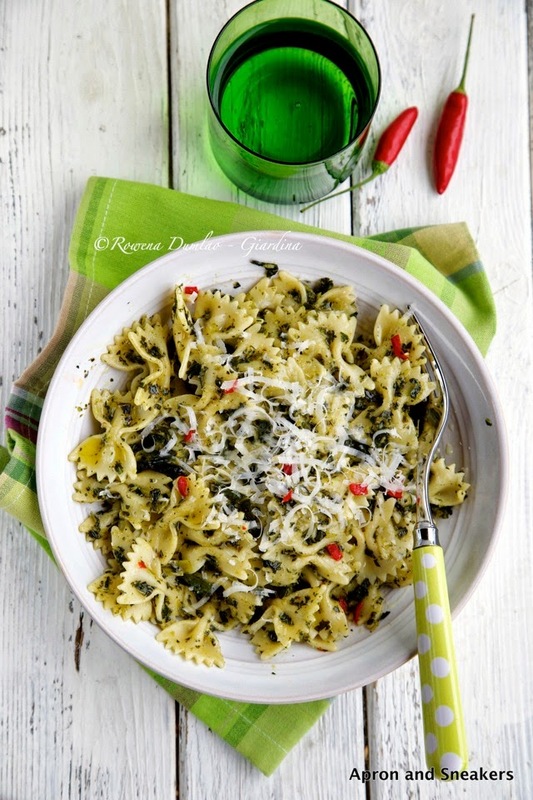 Cavolo nero grows particularly in Tuscany and is not easy to find everywhere. I remember last year, a friend excitedly called me to tell me that she found some cavolo nero in the morning weekend market close to her house. Only, the market vendor was only selling there on alternate Saturdays so that limited us to a couple of chances a month to have them. She became a cavolo nero convert after she tried my Crostini di Cavolo Nero at home. It was the best flattery that my recipe got. That recipe is actually the base of this pasta sauce. When I find the perfect way to cook something, I tend to go around it and use it in other ways. Why stray away from something already good? 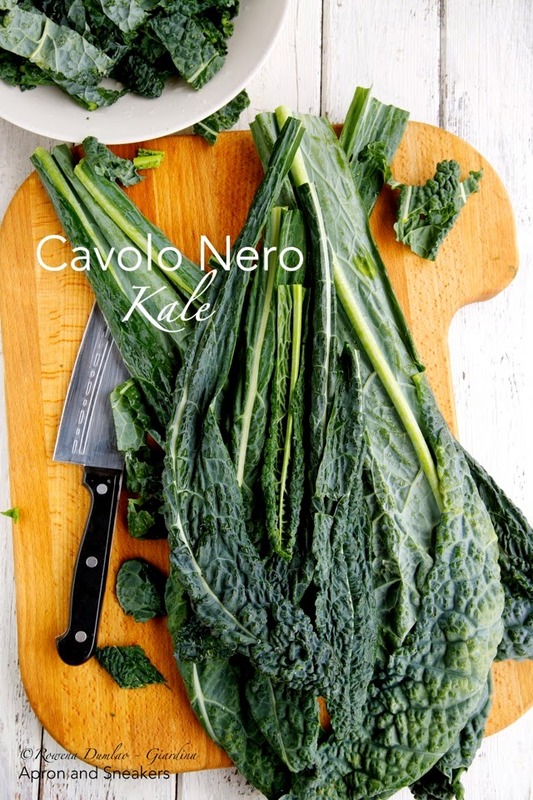 I treat cavolo nero like broccoli rabe in cooking. I love them both sautèed in extra virgin olive oil, a lot of anchovies, garlic and chili. The anchovies complements the taste of the vegetables and the chili gives it a slight kick. Garlic, well, it is always needed to make sautèed vegetables complete in taste. I read in Wikipedia that kale is rich in sulforaphane, a chemical with powerful anti-cancer qualities especially when it is chopped or minced. It also says that boiling decreases its potency, however, steaming, microwaving and stir-frying do not result in losing the strength of sulforaphane. 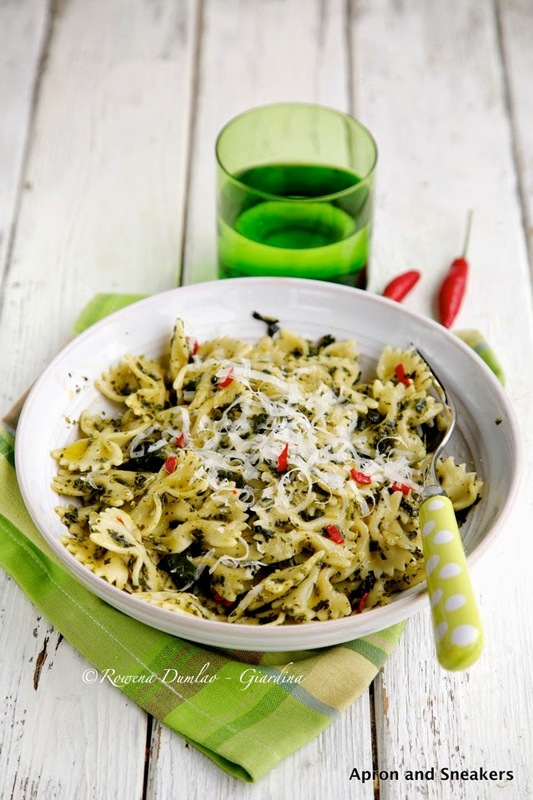 I never really liked boiled kale, only sautèed, so that gives this recipe more chance of being called healthy. And I am very grateful that my son completely adores this pasta while my daughter eats it with minimal complaints (that's already good news for me!). I don't know if I should also insert that my husband and I are totally crazy about this pasta. It's so simple, healthy and delicious! 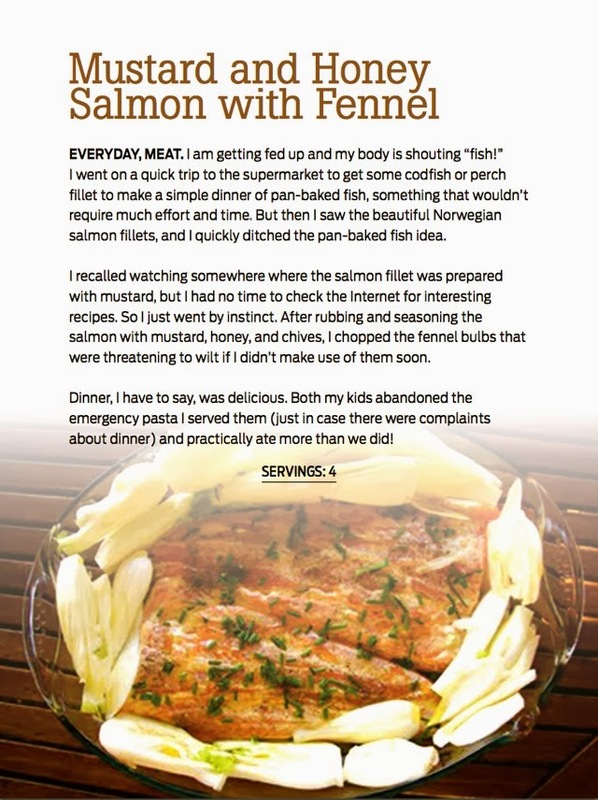 And since we are on the line of healthy eating, I would like to share with you the wonderful news that my Mustard and Honey Salmon With Fennel recipe (the original of which is here) was recently featured in Healthy Recipes Magazine. 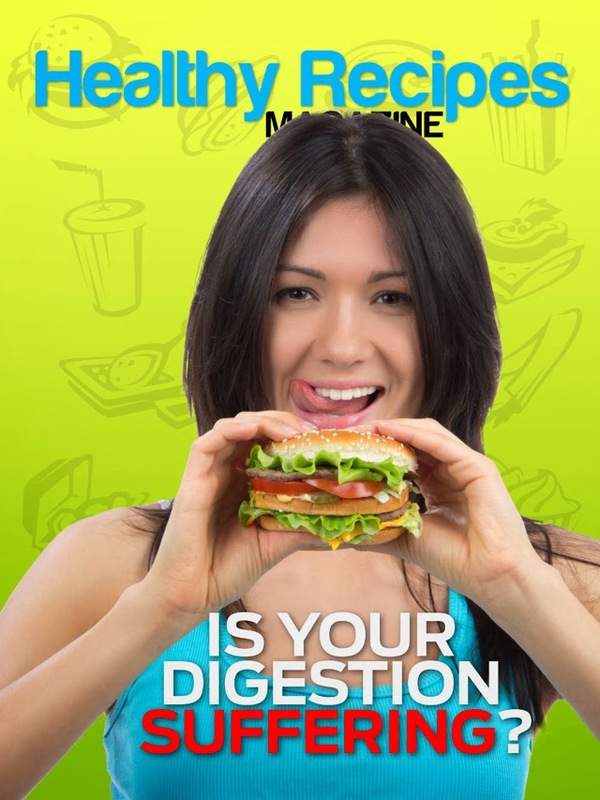 It's an online magazine that focuses on gluten-free recipes, cooking classes, nutrition columns and up-to-date health science articles and expert weight-loss tips. For this occasion, I am partnering with Healthy Recipes Magazine to give away free 3-month iPhone/iPad subscriptions to all Apron and Sneakers readers. You don't need to do anything except click on this link specially made for Apron and Sneakers fans to claim your free subscriptions. You will not be charged anything before, during or after the 3-month subscription. After 3 months, you have the option to manually subscribe to the magazine. It's all up to you! 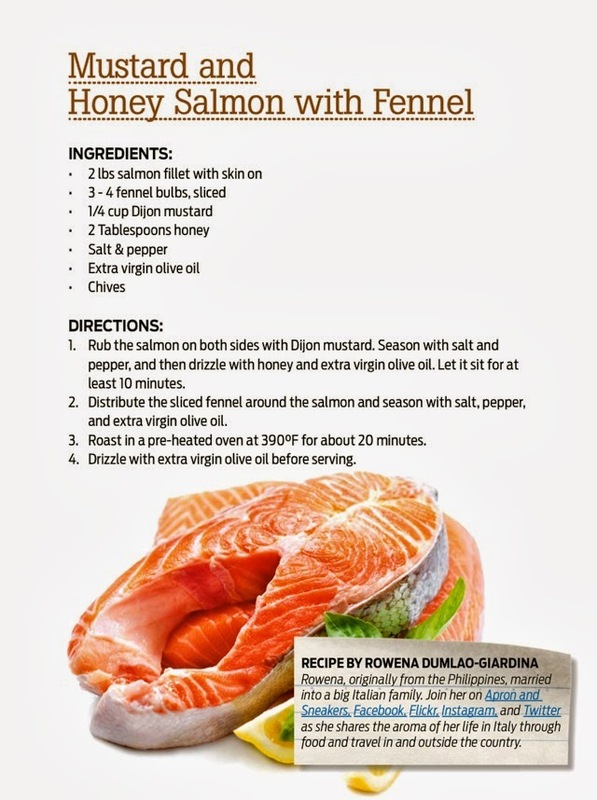 This giveaway is sponsored by Healthy Recipes Magazine. In a pot, boil some water for the pasta. In a saucepan, sautè the garlic, anchovies & chili in extra virgin olive oil. Cook until the anchovies melt. Add the kale. Toss for 5 minutes to coat them with oil then add about 1/4 cup of water from the pot you are boiling. Cover and simmer for another 15 minutes. Add another 1/4 cup of water when it’s starting to dry up a bit. 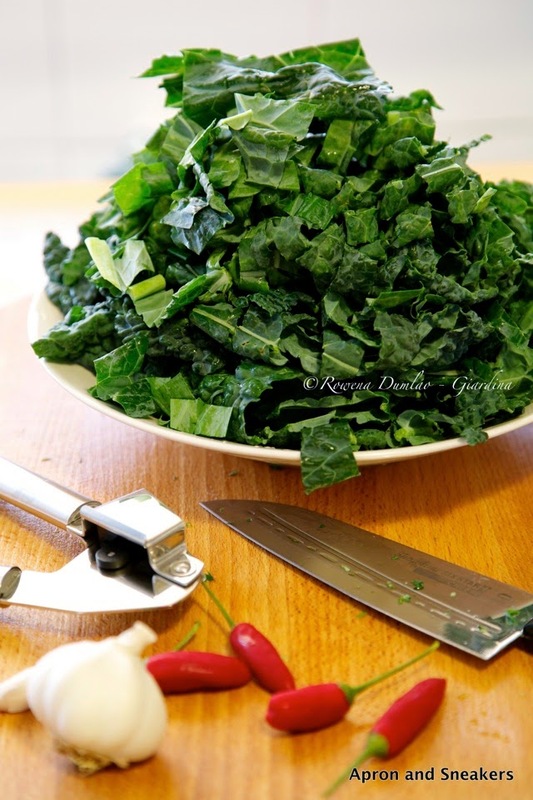 While still cooking in the saucepan, use a handblender to crush the kale until it becomes creamy. Cook for another 5 minutes then turn off the fire. Meanwhile, when the water for the pasta is boiling, add some salt then put the pasta. Cook according to the number of minutes indicated in the packaging. Farfalle usually takes around 15 minutes to become al dente but check the packaging of your pasta for the cooking time. Put together the kale and cooked pasta in the saucepan. Add more water from the water used to cook the pasta if slightly dry. 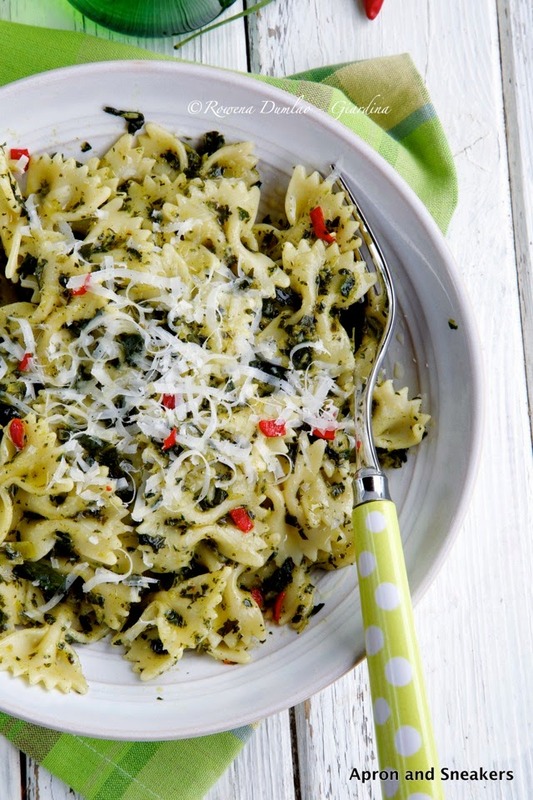 Drizzle with extra virgin olive oil and sprinkle with Parmigiano Reggiano.